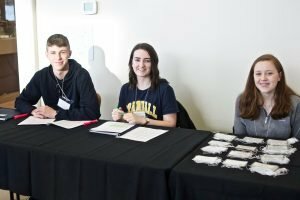 Moncton – Over 100 Science students and faculty from 13 universities across the Atlantic Provinces descended on the Crandall University campus to present research projects to peers and professors alike at Science Atlantic’s 2019 Aquaculture & Fisheries and Biology conference. 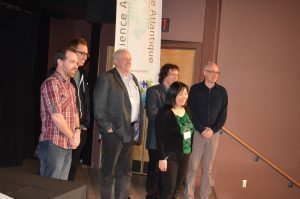 With the stated goal of “connecting science education and research,” Science Atlantic’s various conferences cover a wide range of fields, and are held annually at universities across the Maritimes. 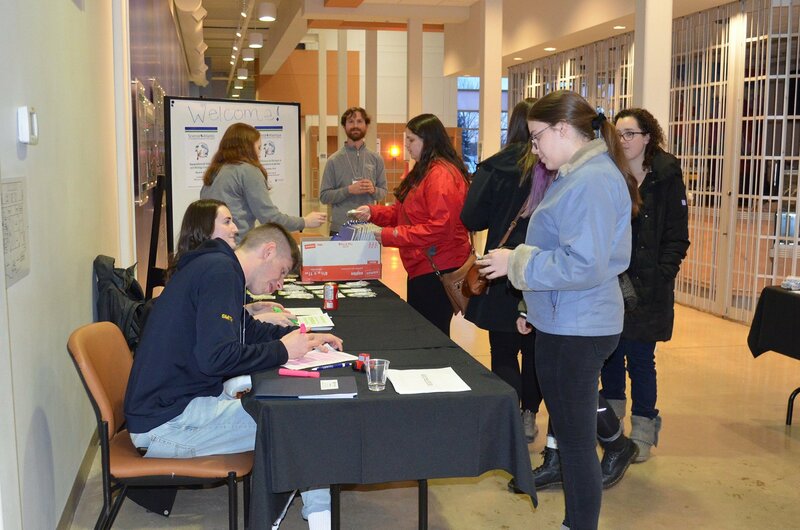 The Aquaculture & Fisheries and Biology conference took place over three days in March, with participating students submitting either posters or oral presentations of research findings for various projects relating to these fields. Projects were judged by a panel of professors and representatives from Science Atlantic, with awards presented at the end of the conference. 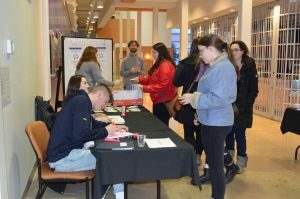 Students who presented at the conference also had the opportunity to have their abstracts published in an academic journal, to be released later this year. The conference also featured two keynote speakers, Dr. Diana Hamilton of Mount Allison University, and Dr. Stefanie Colombo or Dalhousie University, presenting research for the Biology and Aquaculture & Fisheries portions of the conference respectively. Dr. Zhan Yang of Crandall’s Biology department served as coordinator for the conference, working with Crandall faculty and administration as well as the participating universities to put the weekend together after winning the bid to host this year’s event. Special thanks to Science Atlantic, the conference sponsors, the students and faculty of the participating universities, and the team of student volunteers that made this event possible. 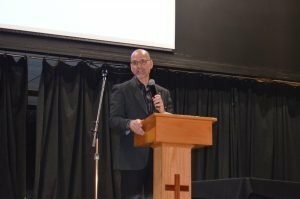 Crandall University is Atlantic Canada’s leading Liberal Arts University rooted in the Christian Faith, with undergraduate programs in Arts, Business Administration, Science, and Education, and graduate programs in Education and Organizational Management. To learn more, visit crandallu.ca or call 1‑888-968-6228.